Hello Frndzzz.... www.dealsnloot.com Back With New ShopClues Loot Deals. 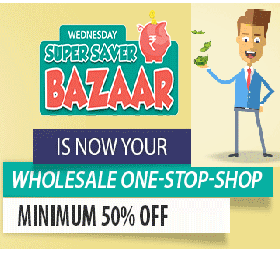 Shopclues Wednesday only Super Saver Bazaar Mid Week crisis ka solution, upto 90% off from Rs. 31.